The Japanese once again show their finesse with robotics and electronics proving they are many steps ahead of other space research programs. 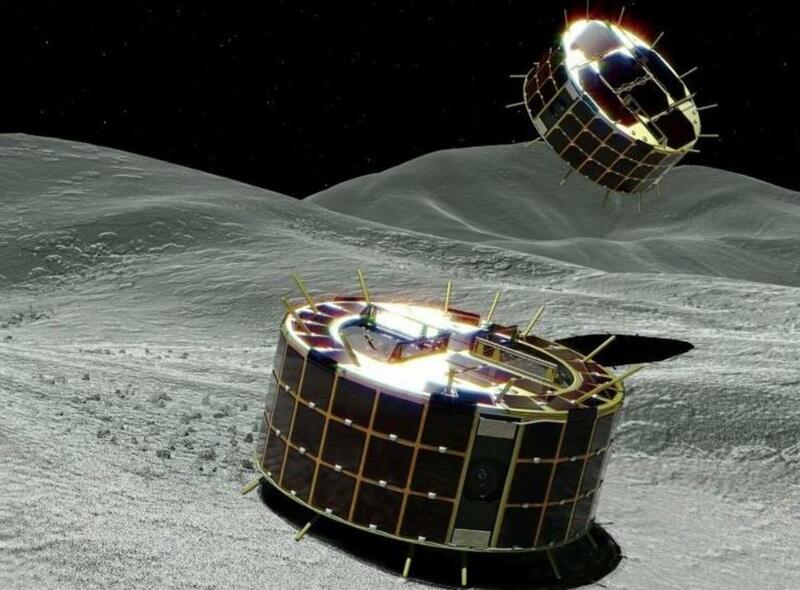 The latest Japanese spacecraft has successfully dropped two small rovers onto an asteroid flying through space. If the rovers reach their mark safely, the unmanned pair of Hayabusa-2's will become the first craft to ever successfully land robotic rovers on a simple space rock. The will aid researchers working to spot and prevent any asteroids that could cause damage to the Earth by diverting their path or blowing them up. Using such small rovers to deliver the payloads that might one day save the planet. Japan's space agency known as JAXA said they hope the mission will provide new clues to where the space rock came from and the origin of our solar system itself. An update posted to Twitter showed images taken by the rovers on their approach to the asteroid. JAXA is expecting a flow of data from the rovers at some point on Saturday. The information will confirm or deny the success of the mission. The asteroid being targeted by the Japanese space agency is known as Ryugu and is located around 208 million km (170 million miles) from Earth. Hayabusa-2 is set to be the first craft to arrive near the asteroid Ryugu ever, and the spacecraft is said to have approached the asteroid as close as 55 meters (180 feet) to the asteroid. It was from this height that the spacecraft dropped its rovers before returning back up to 12 miles from the surface of Ryugu. A release from JAXA confirmed the rovers were released successfully. JAXA project manager Dr. Yuichi Tsuda said, "We are very hopeful. I'm excited about seeing the pictures. I want to see the scenery of space seen from Ryugu’s surface." Each of the little solar-powered rovers is only about the size of a biscuit tin, but that doesn't mean they can't capture imagery of the asteroid's never-before-seen surface and transmit them back to Earth. The little rovers will navigate Ryugu by hoping up to 15 meters (50 feet) at a time across the surface of the asteroid which is only one km-wide itself. Members of the project had their confidence bolstered after the release on Friday confirming the success of the revolutionary maneuvers. The rovers will help scientists locate a suitable landing site on the bumpy asteroid and help facilitate the landing of a larger German-French lander called MASCOT carrying a total of four observation devices. As part of its explorations and testing, JAXA plans to detonate an explosion on the surface of the planet that will leave a hole in the asteroid's surface. Eventually, the Hayabusa-2 will return to earth in late 2020, inside will be sampling from the length of our solar system giving scientists an unprecedented opportunity to study them close up.